Barry Biddulph reports on the 550 council jobs to be axed in Sheffield. Julie Dore, the leader of Sheffield Council, will make council workers and some of the most vulnerable people, who depend on council services, pay for the financial crisis. While Julie Dore sneers in public at protesters with placards, she tells Sheffield Star readers and trade union meetings that she has protected the most vulnerable. This is a dishonest attempt to justify choosing to make cuts, rather than organise to fight the government. The image of the dented shield only makes sense if you have taken part in a battle, not surrendered before the fight has begun. Sheffield: Strike Action on November 30th. 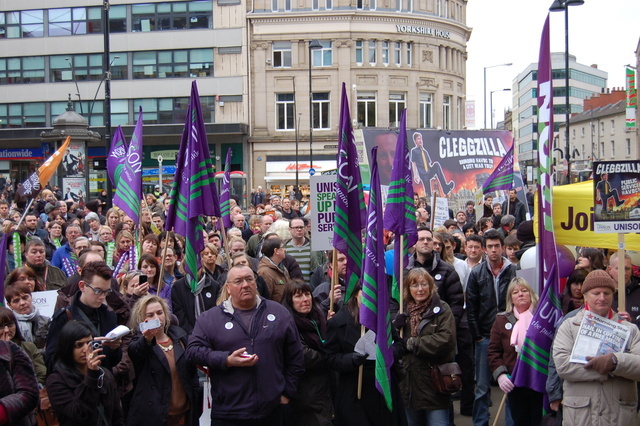 Barry Biddulph reports on the November 30th strike day in Sheffield, which saw little scabbing, but a demo no larger than on June 30th. 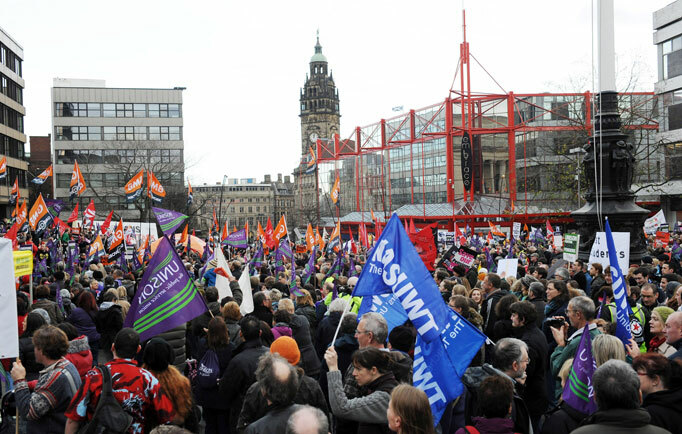 The Sheffield Commune is holding a public meeting on the afternoon of the 30th November public sector strike. We will be discussing the capitalist state, the cuts and the communist alternative vision for how workers and service users can run public services. sheffield anti-cuts: a fairer capitalism? 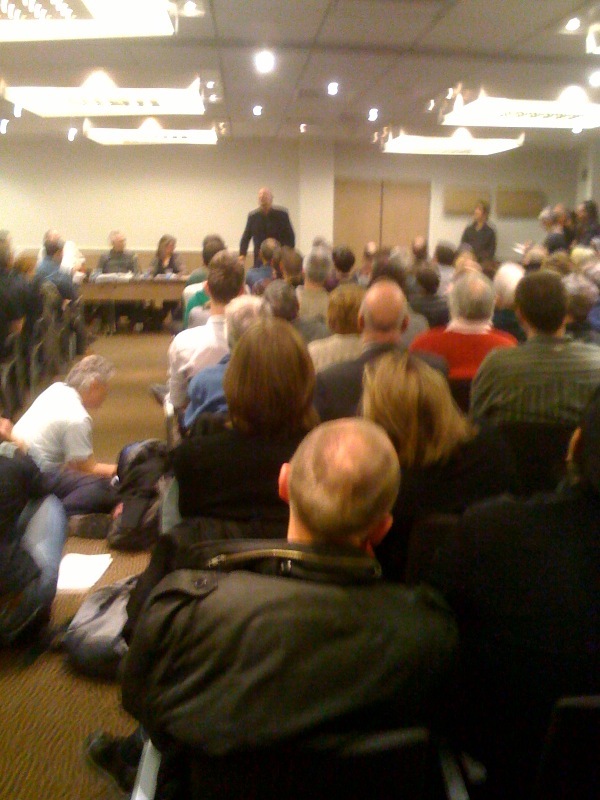 The second public meeting of the campaign against the cuts in Sheffield was was far smaller and less representative than the first founding meeting last year, despite the recent demos and strike votes. Less than one hundred people sat in a University lecture room with seats for five hundred, to listen to seven speakers. It was a trade union rally, not a meeting for activists to discuss the socialist alternative to the crisis of capitalism and how to organise to make the transition to a real movement. David Huckerby reports on job cuts and resistance in Sheffield. Nick Clegg and local Lib Dem council leader Paul Scivan have claimed that there will be 250 job Losses for 2011/12 at Sheffield city council. However, this does not include the 600 current job vacancies which will not be filled, and another 320 vacancies caused by voluntary redundancies. Nor does the official figure include job losses from the knock-on effect cuts in services will have council contractors. Local unemployment is rising sharply. A large proportion of the cuts fall unfairly on services to young people, children and families. This is in complete disregard for equality issues or legislation. They are considered to be an easy target for cuts. Connexions will face £2.4 million cuts in 2011/12. The axe will also fall on leisure and culture services. It is proposed that there will be £2.9 million of staff cuts in this service area. Altogether there will be a 15% reduction in council spending in the first year. 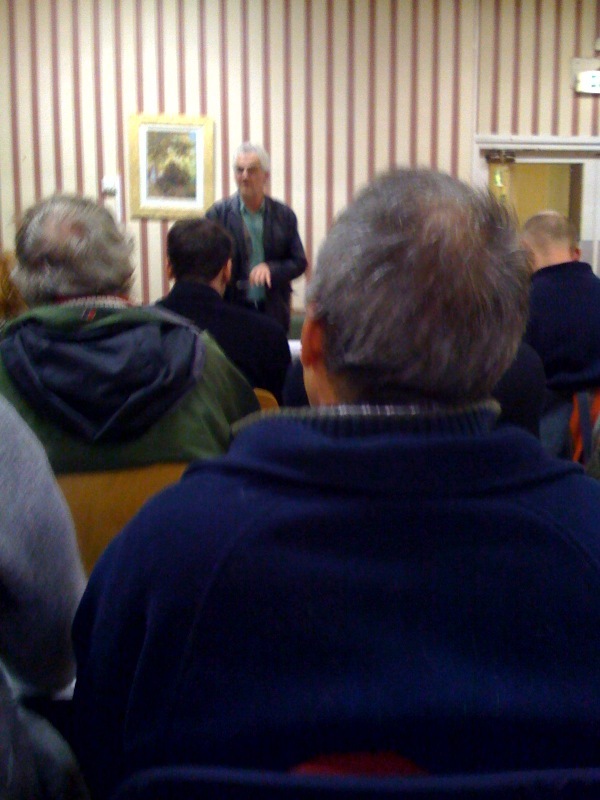 Barry Biddulph was at the first steering committee meeting of the Sheffield anti-cuts group. 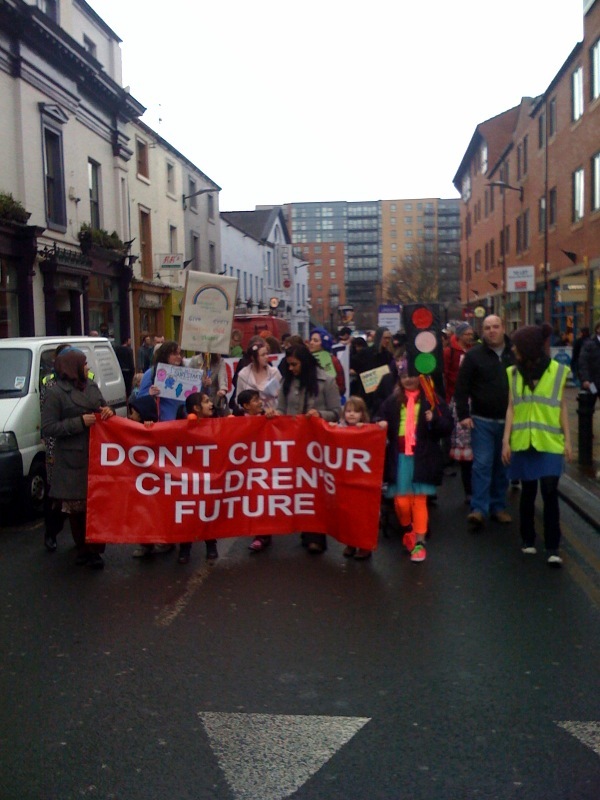 A Report from the Sheffield anti-cuts campaign. 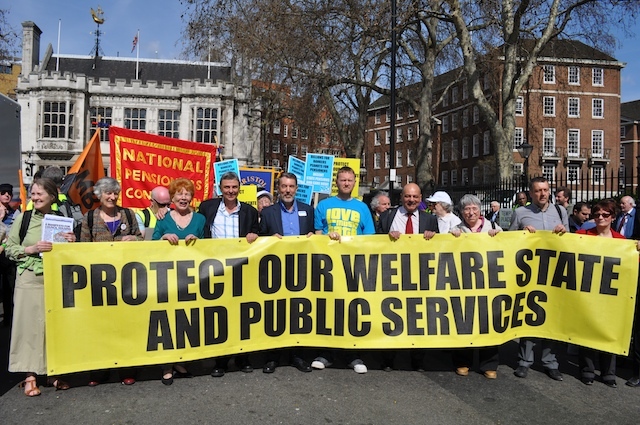 Barry Biddulph attended the public launch meeting of the Sheffield anti-cuts campaign.